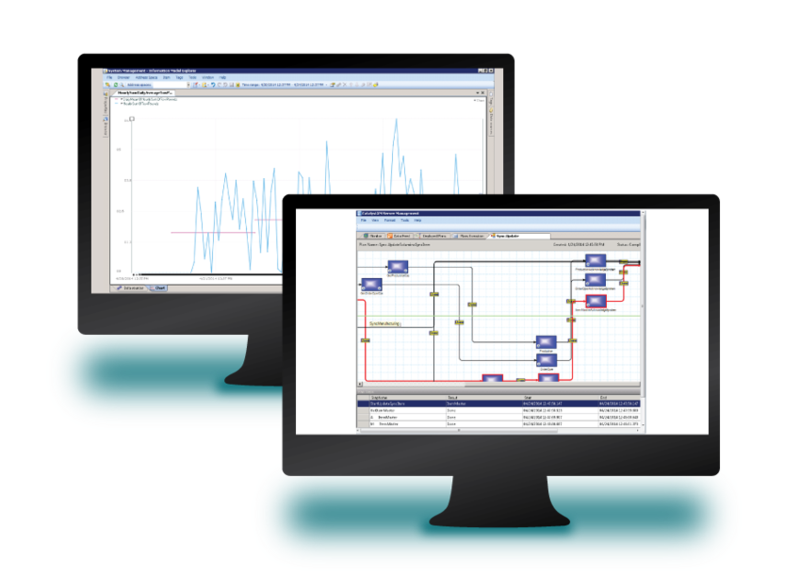 SyncOperations™ workflow automation and data historian software powered by Savigent, gives you the power to monitor and synchronize data from all equipment and processes in real time. The result is more fluid workflow automation with access to actionable manufacturing data and the ability to instantly track and improve performance, availability and quality. 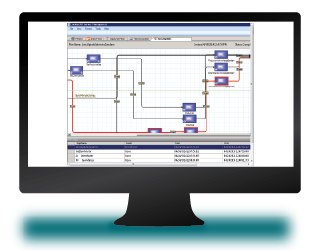 A drag-and-drop graphical interface provides the ability to easily create custom production workflows that can be fully automated or manually executed. Quickly design workflows that support your business processes with events and actions and that are in full compliance with your standard operating procedures. SyncOperations™ software aggregates information to improve manufacturing operations and serves as a real-time data historian that collects and analyzes data from both the machine level and from disparate company systems (ERP, financials and CRM, for example). All your data can be accessed from a single source, rather than navigating through disparate point-to-point applications. Accessing information from a common environment makes it not only easier to manage data, but easier to train, share information, and extend to new equipment and facilities. Better yet, production professionals, process engineers and continuous improvement teams gain a faster path to actionable information to enhance productivity and drive business results. SyncOperations™ software performs smart monitoring of machines and equipment to identify maintenance and repair issues, and signals SyncAlert™ real-time alert and escalation software to generate a production ticket to notify, track and communicate the standard operating procedures to those responsible for corrective action. Information about the event is also relayed to SyncView™, a real-time, synchronized visual factory information system, which communicates status to all. 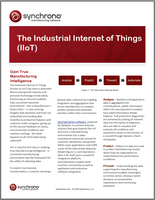 No one is caught off-guard and the impact to manufacturing workflow is minimized. SyncOperations™ also integrates with other Synchrono® systems to synchronize production workflow. Instant updates from the plant floor are relayed to SyncManufacturing™, the company’s planning, scheduling and execution system, and to SyncKanban™, inventory replenishment software, for dynamic adjustments and full synchronization of the manufacturing operation and extended supply chain. Connect your machine-level and enterprise systems and benefit from the power of a fully connected, synchronized enterprise. Contact us to see a demo and learn more.